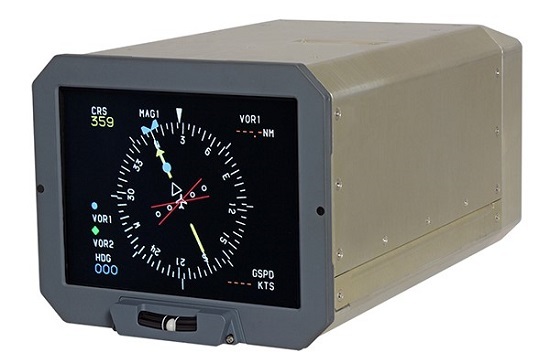 Esterline CMC Electronics (CMC) has received STC Approval from the Federal Aviation Administration (FAA) for the Electronic Flight Instrument System (EFIS) upgrade on ATR 42/72 aircraft with its CMA-6800 display solution. The CMA-6800 is a modern, active matrix liquid crystal display (AMLCD), form-fit and function interchangeable solution for legacy cathode ray tube (CRT) displays. There is absolutely no change in cockpit operations since the unit is installed seamlessly with existing symbol generators and control panels. Its installation does not require and changes to be done to an aircraft’s cockpit operations since the unit can be fitted seamlessly alongside existing symbol generators and control panels. The CMA-6800 display operates at a cooler temperature and offers significant improvements in reliability and weight, and lower life-cycle costs compared to legacy CRTs making it an ideal cost-effective alternative to replacing old CRT displays. The upgrade can be quickly done with no retraining required and with minimum disruption to aircraft operations. The design of the CMA-6800 also has built-in I/O and processor provisions to add functional capabilities for future as well as current mandates.